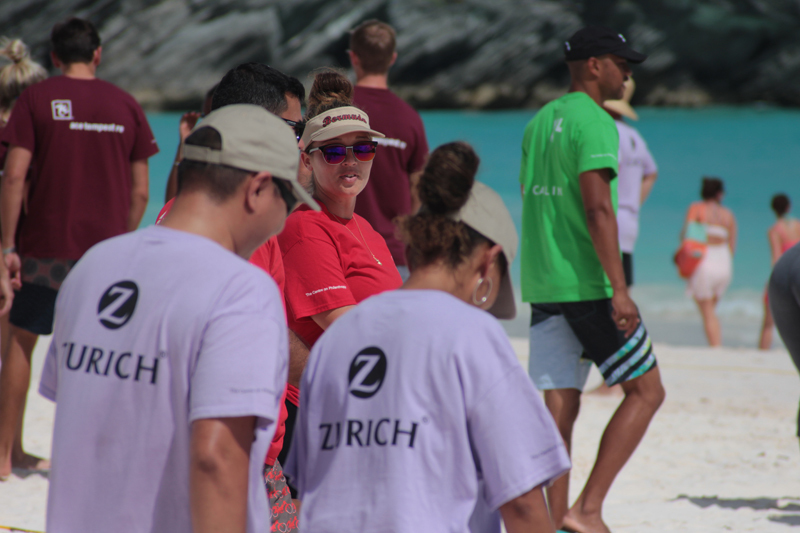 The Centre on Philanthropy successfully hosted its seventh annual ‘Give Back Games’ beach-style Olympics on Horseshoe Bay on Tuesday [Sept 15] which saw over over $66,000 raised for various charities. The event saw 11 leading international companies compete to raise money for 11 of their chosen local charities. 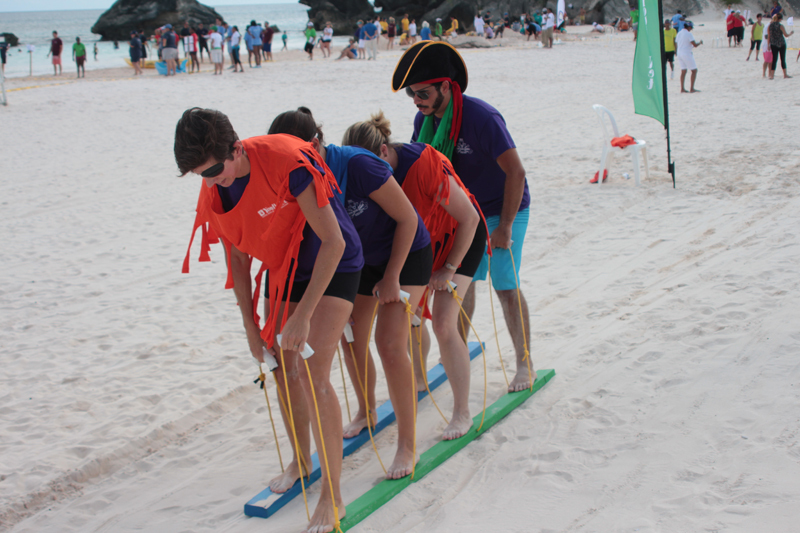 It was a fun-filled day of team building for the companies who competed in games such as flipper and shark relays, blindfolded water relay, a sand sculpting competition and other games aimed at testing the competitors’ athleticism. Ace Tempest Re won the day and $10,000 for their charity, Ocean Support Foundation, as they swept to the finish gaining the best scores over some eight games. Ace Tempest Re also won the Give Back Games Facebook Challenge, winning an extra 5 points towards their final score for the day and also an additional $500 for their charity. 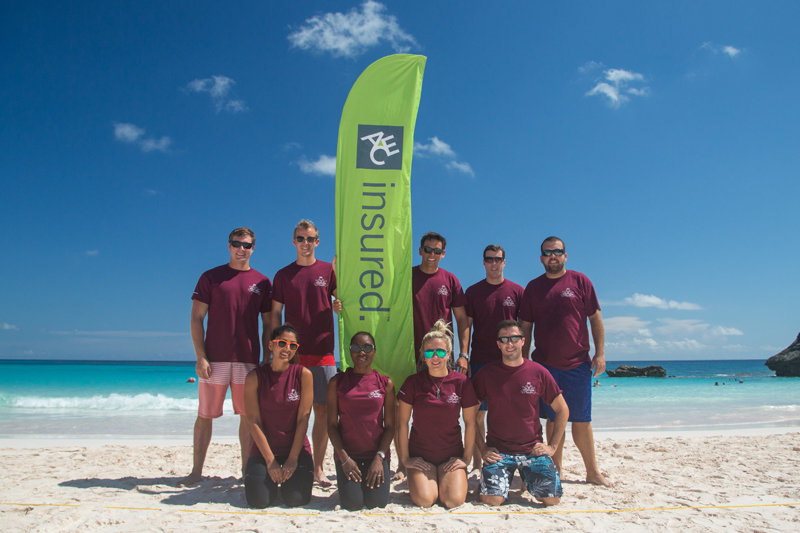 At the end of the event, over $66,000 was shared between the teams for their charities: 2nd place saw Tokio Millennium Re win $9,000 for Bermuda Sloop Foundation and 3rd place for $8,000 was won by Guy Carpenter on behalf of Youth Net. All other companies were able to contribute $4,750 each to their chosen charities. Jenice Germain [Team Leader], Volunteer Coordinator at The Centre on Philanthropy described the day’s fun, ‘We are delighted to have hosted our 7th annual fundraising event, especially when our charities are experiencing financial constraints and increased demand for services. Awesome! Well done to the volunteers and the businesses involved. Why would anyone dislike this comment? This is a wonderful way to link local philanthropy with Corporate fun. Congratulations to all involved. It would be interesting to know the total cost of putting this event on? What is the expense/revenue ratio compared to best practices? It is interesting to observe how the Centre on Philanthropy itself navigates these tough economic times – they are reducing staff and office overhead without clearly communicating with their members. Are they slowly imploding? There is an outstanding and ongoing question of potential collaboration between the Bermuda Community Foundation and The Centre on Philanthropy. It looks like the right time to revisit this option and create one organisation with competent resources dedicated to serving the entire third sector- donors, volunteers and charities. From what I see, the companies donate to a pool, then the teams compete for ranked amounts to go to their charity. all the proceeds of it go to their named charities. This is correct. The $66K comes from the businesses. Every charity is a winner, as they each leave with $4750 or more (depending on if you placed 1-3).